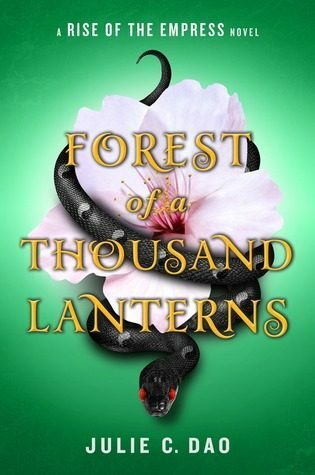 This week I’m excitedly waiting on Forest of a Thousand Lanterns by Julie C. Dao. I’m a sucker for a good-retelling, especially those based around fairy tales. This particular book is based on the Asian fairy tale of The Evil Queen, and it has a lot of promise. I personally cannot wait to get my hands on a copy 😀 Plus that cover is gorgeous with the snake! Ah, this beauty is getting on the radar of so many bloggers! It sounds sooo promising! Doesn’t it though?! I’m hoping it lives up to its hype. I’m intrigued that the description says “the man that loves her” and not “the man she loves.” Interesting. Hope you enjoy this one! I found that interesting too! It makes it sound like this will be a dark read. Every time I see this cover, I get the creeps (I don’t do snakes!) Hope you love it though. I don’t like them either but this cover is so intriguing!!! Love the cover and it sounds really good. Hope you enjoy it! This really does sounds great and I love the cover too! Mine too! I love a good retelling ? I want this! It sounds so good. 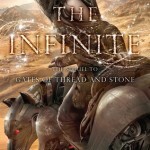 I love retellings too. Thank you for bringing this one to my attention. Hope we both enjoy it ? OOhh nice!! I just finished this one today and it was awesome! Hope you enjoy it too! Love the cover of this book! Great pick! You can check out my Wednesday pick in the link below.